From inspirational entrepreneurial journeys to cutting edge research, we'll explore the processes, techniques and fundamental truths at play. Learn first hand how great thinkers think. Realise new approaches to solving problems. Understand the problems that individuals, businesses and the world face from experts who tackle them. We’ll uncover the key insights that can empower you to think better. So that you can make the future. Today’s episode is all about social media. I had a chat with Mitchell Stuart, he’s the founder of Inferno Media here in Bournemouth. We discuss his background & inspiration, what it’s like to grow a social media management business, along with some advice for businesses on leveraging social media and personal branding. Mitchell Stuart leads a team of social media experts at Inferno Media who work with local and national brands. He comes from a family of entrepreneurs and is the first to jump into the digital world. At 17, after finishing his homework, Mitchell spent time admiring Twitter accounts with millions of followers. Admiration soon turned to inspiration. He set out to start a luxury lifestyle themed account, with a goal of attaining 25,000 followers as fast as possible. In one week he had exceeded that goal. And after 30 days he’d amassed 150,000 followers worldwide with high levels of engagement. He soon started leveraging his influencer status to monetise the account, selling short spots on his feed to businesses. This was his first taste of power of social media from a commercial perspective. Mitchell posted sponsored content on his account, however he removed it after a short amount of time. This is common among influencers, but it can make it difficult for a business to gauge how often a given influencer posts sponsored content, which in turn might affect how valuable that influencer is. So when you’re choosing an influencer it’s important to consider both their audience (size & behaviours) and the relationship that they have with their audience. His success on Twitter soon gathered the interest of people in Mitchell’s network. It wasn’t long before he went from growing his account, to helping businesses grow their own. That was the start of Inferno Media. On culture, he sums it up as treating others as you wish to be treated. Whether that’s clients, team members or suppliers. Like many startups, his first hire came from his existing network. He’s seen from subsequent hires that a prospect that looks great at face value can fall apart when you dig into the details. For example he’s noticed cultural and work-ethic issues while interviewing candidates who, at least on paper, had great skills and experience. Engagements start with a chat with Mitchell where he’ll build an understanding of their business and their competition. He often asks them about the value of a lead so he can think about the viability of a campaign. Typically, new prospects will ask about recent projects and want to learn more about the business and their services. And just as with networking, it’s important to focus on building relationships and showing value. This is important for nurturing prospects and understanding if they’re a good fit. That process generally takes one to two months. Facebook organic reach is dead. At least it is for content that isn’t highly engaging. It’s how the algorithm is designed and means that brands should be both striving to crate engaging content and budgeting for paid promotion. Personal branding can be a very useful tool. By becoming recognised for your skills you’ll have access to new opportunities, even if you’re not looking to promote your own business. However, some people are uncomfortable with the idea of doing blogs, videos or speaking engagements. Mitchell used to feel that way too, but through perseverance, by putting himself out there and trying, he’s gotten past that stage and regularly speaks about social media. Test, test, test. Predicting the way an audience will react to an advert isn’t an exact science. Therefore, if you plan to spend a nontrivial amount on a campaign, it’s essential to test both different audiences and different creatives so that you can find the the combinations that have the best cost per acquisition and lead quality. For new businesses who don’t have the budget to hire a social media expert: experiment. Chuck something out there and see if it works and try out the ‘document don’t create’ strategy with a short vlog. And when you’re using paid strategies to reach new audiences, make sure that you test different targeting methods to try and get the best engagement. 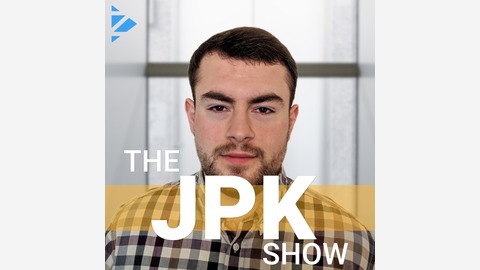 Listen to the entire episode by searching for “The JPK Show” in your favourite podcasts app. I’m the founder of Zealous Digital. We know that success in our digital world will be defined by the customer obsessed. If you’ve got a startup then you need an innovative growth strategy, and a partner to execute it for you. Transform your startup into a customer obsessed leader of the future. Visit Zealous Digital or send me an email, jpk@zealous.digital, to have a chat about growing your business. 04 - Oli Perron - Growing Lunchd, maker of remarkable lunches for teams, meetings and events. 03 - Hatty Fawcett - Experienced marketer, founder and fundraising expert. 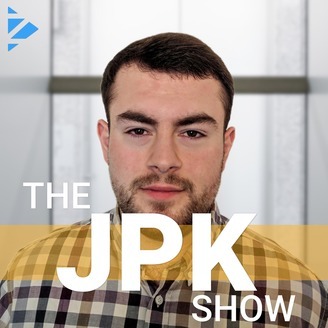 02 - Josue Arteaga - Determination, influencer marketing and giving value. 01 - Dan Willis - An entrepreneurial journey, starting with a bar.